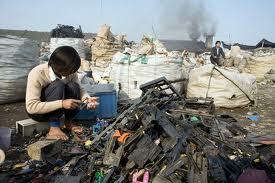 E-waste is a term describing electronics at the end of their useful life. Electronics encompass anything from cameras to clocks, cell phones to laptops. E-waste is a major concern for multiple reasons, one of the most important being that it’s a relatively new waste stream and has grown in volume exponentially in a very short period of time. Consider this: 15 years ago cellular phones were just becoming mainstream, still in the mass marketing development stage, today about 50 million cell phones are replaced worldwide each month, and only 10% are recycled world-wide. It is estimated that the US now dumps between 300 million and 400 million electronic items per year, and less than 20% of that e-waste is recycled. Even more concerning is that E-waste represents 2% of America's trash in landfills, but it equals 70% of overall toxic waste. The extreme amount of lead in electronics if allowed to degrade into the ground or leach into groundwater can cause damage in humans to the central and peripheral nervous systems, the blood and the kidneys. But lead can also be extracted from a device and reused. Other commodities that can be extracted from electronic equipment and reused as valuable raw material in the manufacture of new products are steel, aluminum, gold, silver, titanium, copper, nickel, plastic, and glass. It only makes sense to recycle electronics: extract all reusable materials saving money, and making certain that toxins are being properly handled and reused or disposed, saving our planet. Electronics recyclers provide comprehensive recycling operations. Businesses usually have large amounts of e-waste that may require secure data destruction. There are both for-profit organizations who may pay for them, and non-profits such as ARC Broward, that will provide you with secure hard-drive and data destruction as well as a receipt for a tax deduction. Individuals can get paid to recycle electronics and keep them out of landfills too. Instead of tossing your gadgets in a landfill when you’re finished with them, get paid to recycle them by using services like getpaid2recycle.com, buymytronics.com, and gazelle.com. E-recyclers will recycle or refurbish your electronics, keeping them out of landfills and paying you cash. Different recyclers take different types of products, so make certain you do your research on-line to see which recycler is willing to give you the best price. And please, whatever you do, make certain your recycling company of choice is certified by R-2, ISO, or another reputable third party verifier, insuring the organization is truly disposing of your e-waste properly. And there you have it: one simple way you can reduce your clutter and make a few bucks on in the process, almost hassle free! According to the Natural Environment website, 60 to 100 million barrels of oil are required to manufacture a year's worth of plastic bags worldwide, and it takes approximately 400 years at least for a bag to biodegrade. Unfortunately, plastic is the most a common material choice for packaging and carrying in the current disposable society in which we live. Here's the problem, if it takes over 400 years to biodegrade, technically, it's not disposable at all. In reality, we are NEVER getting rid of it, we're just moving it from point A to point B for it to remain at point B FOREVER, or at least 400 years.The impact of plastic bags on our environment is enormous. . Approximately 100,000 sea turtles and other marine animals die every year because they either mistake the bags for food or get strangled in them, says Natural Environment. 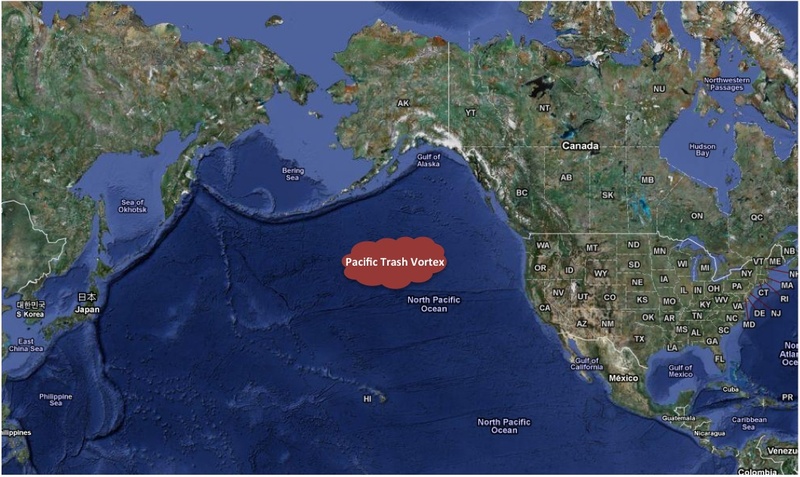 The "plastic soup" patch floating in the Pacific Ocean is twice the size of the continental United States and is roughly 80 percent plastic, according to The Independent, a British newspaper. Approx. 380 billion plastic bags are used in the United States every year. That’s more than 1,200 bags per US resident, per year. Approx. 100 billion of the 380 billion are plastic shopping bags. An estimated 12 million barrels of oil is required to make that many plastic bags. Only 1 to 2% of plastic bags in the USA end up getting recycled. 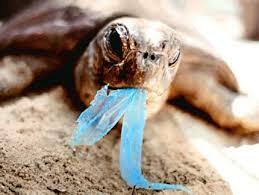 Thousands of marine animals and more than 1 million birds die each year as a result of plastic pollution. The United Nations Environment Programme estimates that there are 46,000 pieces of plastic litter floating in every square mile of ocean. 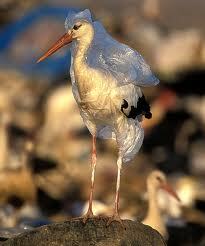 Plastic bags are often mistakenly ingested by animals, clogging their intestines which results in death by starvation. 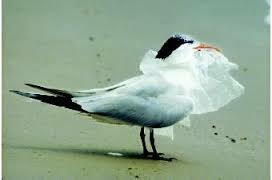 Other animals or birds become entangled in plastic bags and drown or can’t fly as a result. Even when they photo-degrade in landfill, the plastic from single-use bags never goes away, and toxic particles can enter the food chain when they are ingested by unsuspecting animals. Greenpeace says that at least 267 marine species are known to have suffered from getting entangled in or ingesting marine debris. Nearly 90% of that debris is plastic. In 2008, China started to ban stores from offering free plastic bags; previously, China had been using 3 billion plastic bags a day, according to Treehugger. One of the most substantial efforts has taken place in Ireland, where a tax has been issued on each plastic bag. Paying the equivalent of 20 cents tax per plastic bag used in a store has led to a 95 percent decrease in usage. Maybe we could cut our national deficit with a plastic bag tax, and reduce usage in the US by 95% as well! And whenever possible, ditch the plastic and choose products with as little packaging as possible! Did you know that according to the most recent Environmental Protection Agency data the average American family washes about 300 loads of laundry each year? Reducing laundry costs can help families cut their related energy and water costs as well as detergent and laundry product costs. If you are in the market for a new washing machine, make sure you get a front-loading model, which uses a third less water, heat energy and detergent than standard top-loading designs. Front loaders are more effective and efficient designs, think about it... they have been working hard at laundromats across the world for decades. These days, major brands (such as the Frigidaire Bosch, LG, GE, KitchenAid and Kenmore) are all making models for the home and not just industrial size front-loaders. 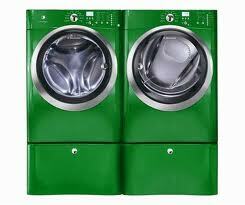 Make sure your new machine is certified by the EPA's Energy Star program, which signifies high energy efficiency. According to GE, the average family will save enough on energy bills with the company's Energy Star washer and dryer to pay for the appliances in their entirety in 12 years. Other ways to reduce energy and water use while doing your laundry: use only cold water to wash, only wash full loads at a time, and line dry instead of using the dryer whenever possible. For stain removal, before washing, try soaking the stain with water mixed with Borax, lemon juice, hydrogen peroxide or white vinegar. To whiten whites, instead of bleach add a half cup of lemon juice to the rinse cycle of a medium load of whites or try a half cup of Borax, while adding just a capful of vinegar in with your detergent can act as a color brightener and keep your brights from getting dull and helps prevent static cling. Instead of over the counter fabric softeners which can cause allergic reactions in those with sensitive skin, add a quarter cup of baking soda to the wash cycle, And for an easy, fun way to refresh your fabrics in between washes, freshen your clothing with a spray and spritz of vodka diluted with water. It's not just what you do, but how you do it when it comes to saving money on your laundry. Energy Star Appliances and natural products to remove stains, whiten whites, and freshen up your laundry are simple ways to save you money and time! Welcome to TangibleGreen! We are committed to working toward a better world for us all. Businesses can have a profound affect on the way we see that world and function within it. For the next several posts we will address ways to begin a culture shift within your own business environment. Note: Top management support is vital to convince people of the seriousness of the effort. Because of the nature of the industry it is essential to have this support to allow people to pursue “non-billable” projects that help change firm practices and outdated processes. What will sustainability mean to your business and staff? What do you hope to achieve by greening your business? Are we committed to integrating sustainability into or current culture and future strategic plans? Sustainability is a process that develops over time, implementing 1-year, 3-year, and 5-year sustainable business goals. together a team of employees to promote environmentalism in the workplace. These troops can head up the recycled-product purchasing effort, educate co-workers on environmental issues, and track environmental accounting for their department. Consider creating incentives such as rewards and recognition for employees who drive your company’s environmental efforts. Name a periodic “green champion” in order to single out employees’ environmental action. Educational Component. Everyone in the company is a key player in the sustainability initiatives. Implement training course, handouts, simple ways to reduce energy and waste outputs. For information on How to "Green" YOUR business in a tangible way, send us an email or give us a call, we'd be happy to work with your company to guide you into becoming more efficient, environmentally conscious, and strategically prepared for the future. 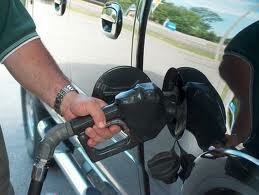 TangibleGreen Tip - Saving Gas Means Saving Cash...and the Planet! Driving our cars and other fuel based transportation accounts for over 28% of all end-use energy in the US, and 69% of the total petroleum consumed in the U.S. For that reason alone, we should all do our part to drive as little as possible and demand higher fuel standards for our vehicles. If reducing the amount of carbon emissions that your driving activities are contributing to the atmosphere isn’t enough motivation, then perhaps paying $4.00+ per gallon of gas is a good enough reason to tweak your driving habits to optimize your vehicle’s fuel efficiency. 1. Avoid High Speeds - As your speed increases, your aerodynamic drag increases in an exponential fashion. Driving 62 mph (100 km/h) vs 75 mph(120 km/h) will reduce fuel consumption by about 15%. 2. Do Not Accelerate or Brake Hard - By anticipating the traffic and applying slow steady acceleration and braking, fuel economy may increase by as much as 20%. 3. Keep Tires Properly Inflated - Keep tire air pressure at the level recommended by your vehicle manufacturer. A single tire under inflated by 2 PSI, increases fuel consumption by 1%. 4. Use A/C Sparingly - When the air conditioner is on it puts extra load on the engine forcing more fuel to be used (by about 20%). 5. Keep Windows Closed - Windows open, especially at highway speeds, increase drag and result in decreased fuel economy of up to 10%. Other smart fuel saving opportunities are to service your vehicle regularly, use cruise control, avoid heavy loads, avoid long idle, and of course, purchase a hybrid, an electric or fuel efficient vehicle, or of course you can always ride your bike and get in shape at the same time... and That's it for this week's TangibleGreen Tip! Water bottles are a problem for several reasons, they waste more water than providing clean drinking water on site, water is used to create each and every water bottle itself, and the amount of landfill waste associated with water bottles is extraordinary, not to mention, plastic water bottles most often contain Bisphenol A or BpA and Phallates which are known carcinogens and can leach into the water itself when exposed to heat as well as over time, making the water even less healthy than filtered tap water. 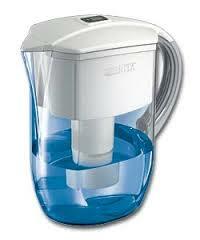 1. costs as much as 100 times as much per gallon as tap water. 2. Regulated and Tested by FDA - bottled water in the United States falls under the regulatory authority of the Food and Drug Administration and is only required to be tested once per year. In practice, about 70 percent of bottled water never crosses state lines for sale, making it exempt from FDA oversight. Municipal water (tap water) falls under the purview of the Environmental Protection Agency, and is regularly inspected (Quarterly) for bacteria and toxic chemicals. 3. 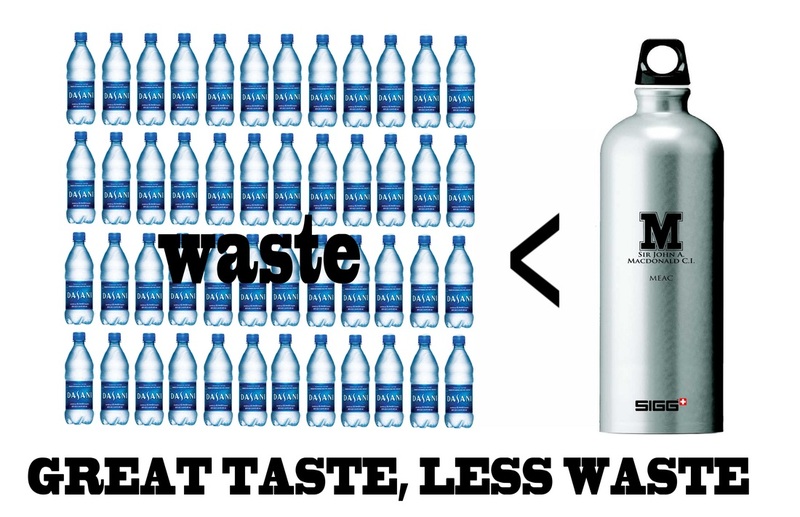 Bottled water means garbage - Bottled water produces up to 1.5 million tons of plastic waste per year. According to Food and Water Watch, that plastic requires up to 47 million gallons of oil per year to produce. And while the plastic used to bottle beverages is of high quality and in demand by recyclers, over 80 percent of plastic bottles are simply thrown away. 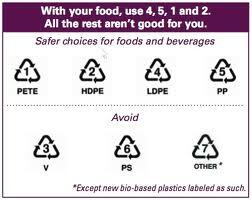 According to www.postconsumers.com Different kinds of plastic can degrade at different times, but the average time for a plastic bottle to completely degrade is at least 450 years. It can even take some bottles 1000 years to biodegrade! That’s a long time for even the smallest bottle. 90% of bottles aren’t even recycled. Makes you think twice about that water or soda, right? 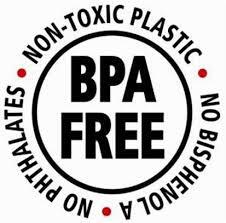 Bottles made with Polyethylene Terephthalate (PET or PETE) will never biodegrade. About 1.5 million barrels of oil are used every year to make the bottles, and even more oil is burned transporting them. Most of the time, the water inside the bottles has more contaminants than regular old tap water, meaning you could be drinking some serious problems. 4. Want to know how your communitiy’s municipal water scores? 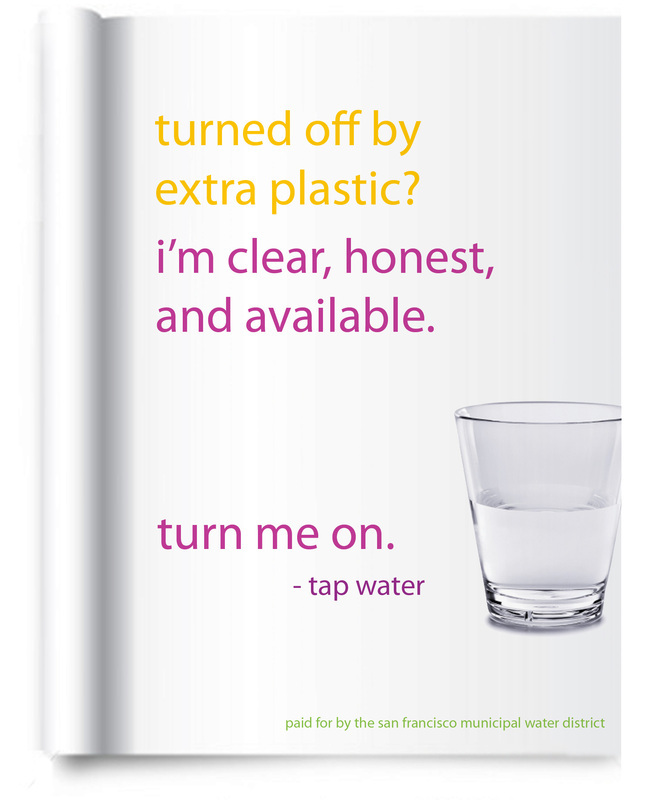 Check out the Environmental Working Group's National Tap Water Database at ewg.org. EPA regulates public water systems; it does not have the authority to regulate private drinking water wells. Approximately 15 percent of Americans rely on their own private drinking water supplies, and these supplies are not subject to EPA standards, although some state and local governments do set rules to protect users of these wells. Unlike public drinking water systems serving many people, they do not have experts regularly checking the water’s source and its quality before it is sent to the tap. These households must take special precautions to ensure the protection and maintenance of their drinking water. ALWAYS have the well water tested before buying a house, it may never have been done before! 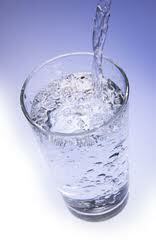 · Also see EPA's Drinking Water from Household Wells for more information and help. In addition to the immediate area around your well, you should be aware of other possible sources of contamination that may already be part of your community or may be moving into your area. Diane Bacher is a certified business energy professional with more than 16 years of experience in the environmental and energy sector. She has written numerous data and regulatory compliance reports for industrial, financial, educational and information-technology clients. Bacher's publications include the New Jersey Technology Council's "Tech News." - Free-standing pitchers filter smaller quantities of water. 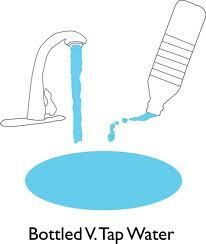 - Individual taps to treat water as it flows through the faucet. - Refrigerator water and ice connection. - Specialized plumbing can be directed to a single faucet, also known as a "point of use" device. - Central piping leading into your entire home with a "point of entry" device (may not be best option depending on type of filtration system and piping material). o CARBON Filters use granulated activated carbon and resins which attach to and trap contaminants as they pass through the filters. The microscopic pore size of the filter screen determines what contaminants can be removed. It is important that you analyze screen pore size by largest hole size, not average. Filters by themselves cannot remove all contaminants. o DISTILLERS heat water to boiling and collect and recondense the vapor to remove the disease-causing microbes and contaminants. Taste is affected because natural minerals and dissolved oxygen are also removed along with the microbes. 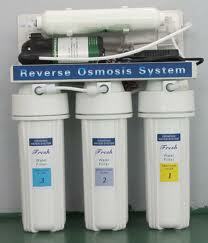 o RO - Reverse osmosis units contain semi-permeable membranes which operate under pressure to clean water. These units use three times the amount of water as clean water produced but eliminate all disease-causing organisms and most chemical contaminants. o Aerators pass water over air jets to force gasoline and radon contaminants to convert to gaseous emissions that are removed. 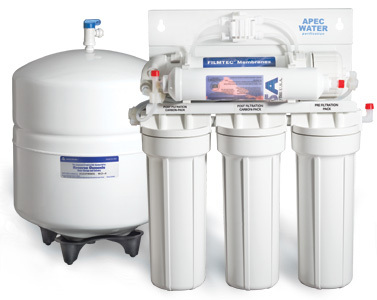 o Water softeners use basic action exchange principles where minerals that cause hardness, calcium and magnesium, are exchanged with sodium and potassium, the softeners. At the same time, radium and barium contaminants are removed. I personally like the new oxidizing water systems. They raise the PH of the drinking water so that it's not only pure, but a healthier way to keep your body's acid levels in check. Virus cannot live in a basic, or alkaline, environment. And remember: filters must be changed regularly to continue to function properly. FINAL THOUGHTS…Multinational corporations are stepping in to purchase groundwater and distribution rights wherever they can, and the bottled water industry is an important component in their drive to commoditize what many feel is a basic human right: the access to safe and affordable water. Peace Lily Benefits: Known for removing benzene and is also said to remove mold spores in the air, making it great for bathrooms, kitchens and laundry rooms; purifying the air of trichloroethylene, and removing alcohols, acetone, and formaldehyde. Notes: Easy to care for, it prefers lots of water, less often and bright, indirect light. Did you know that according to the most recent Environmental Protection Agency Statistics; on average people in the US spend a staggering 90% of their time indoors. It behooves us to be in as clean and healthy an indoor environment as possible. One way to ensure a healthier indoor environment is to reside in a green home, or green building, of course, but something you can do immediately to improve your indoor environment is to pick an air purifying houseplant that also uplifts your space with a touch of nature. Our space program has led the way to a fascinating and important discovery about the role of houseplants indoors. NASA has researched methods of cleansing the atmosphere in future space stations to keep them fit for human habitation over extended periods of time… For years now, since the 1980’s, NASA has been reasearching common hoseplants and their effect on indoor air quality. 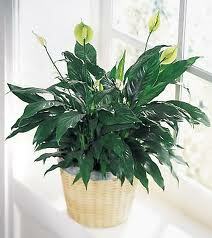 They've found that many common houseplants and blooming potted plants help fight pollution indoors. Certain houseplants are reportedly able to scrub significant amounts of harmful gases out of the air, through the everyday processes of photosynthesis. 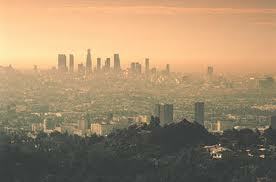 Some pollutants are also absorbed and rendered harmless in the soil too. Plant physiologists already knew that plants absorb carbon dioxide and release oxygen as part of the photosynthetic process. Now researchers have found many common houseplants absorb benzene, formaldehyde and trichloroethylene, not at all good for human health, but plants can thrive on them, while also removing them from the air. So, there you have it, a simple way to beautify your home or office while improving the health of your indoor space! Golden Pothos Benefits: NASA places this plant among the top 3 types of houseplants great for removing formaldhyde. Also known for removing carbon monoxide and increasing general indoor air quality. Notes: Needs less water in colder temps and partial sun. Mums Benefits: Very effective at removing benzene, associated with most chemicals, plastics, cigarettes and off-gasing. Also removes trichloroethylene, formaldehyde and ammonia. Notes: Likes partial sun, and lots of water. Although they're among the houseplants that clean the air, they only flower once. English Ivy Benefits: It's known for removing the chemical benzene, a known carcinogen found in cigarette smoke, detergents, pesticides, and the off-gasing of other synthetic materials, is said to be fantastic for asthma and allergies and also removes formaldehyde. Notes: Can be invasive, best used as a potted plant. 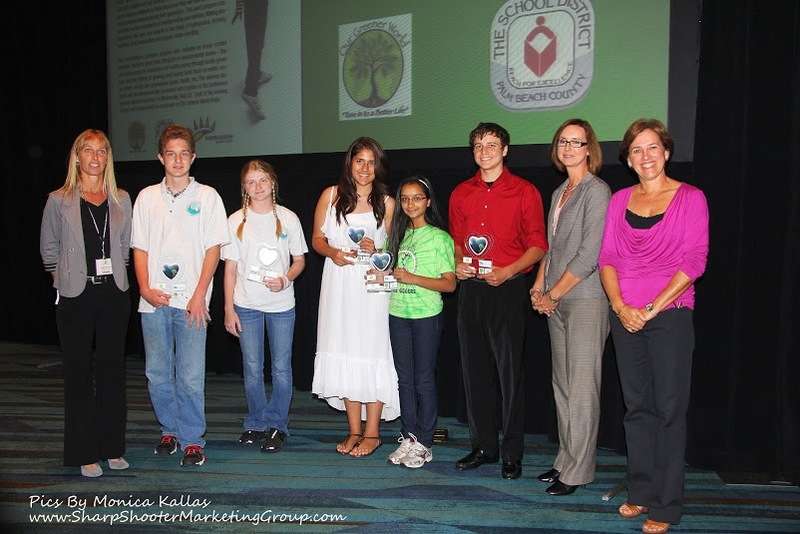 On May 22, 2013 Five students from the Palm Beach County School District were announced as the winners of the 4th annual Florida Green Energy and Climate Conference Essay Contest. The topic: The importance of locally grown food. As for my thoughts on judging the essay contest, well, this is the fourth straight year I have been doing this essay contest with the Conference, FPL, and the School District. Over those four years the students have shown an increasing and well-rounded understanding of environmental, human health, and economic consequences related to current human behavior. I am infinitely hopeful for our future, they give me that every year...how fortunate I am! The essays will be published here and on the Our Greener World radio show website, www.ogwradio.com Every week from May 23rd to June 20th you can hear one essay contest winner read their essay on the show. Tune in to Our Greener World on Seaview Radio (106.9 FM, 95.9 FM, and 960 AM) Thursday Evenings at 6PM. The most sustainable person I’ve ever known had to be my grandmother, and I write this in honor of her birthday which was today, May 2nd. She reused every plastic bag at least three times, never had a leftover go to waste, meticulously cleaned every square inch of her home with non-toxic cleaning agents such as vinegar and water (she was allergic to anything that wasn’t made with the purest ingredients), detested unnecessary clutter, and lived to the ripe old age of 92 and ornery as ever right up to the end. Her mantra was “Waste not, want not”, which of course drove me nuts when I was tasked with rinsing out a plastic bag for reuse while trying to think of any other 8 year old that had to perform such menial labor to save a d-i-s-p-o-s-a-b-l-e bag! My grandmother has been gone over a decade now, but I hear her mantra in my head every time I think about the volume of products we consume and waste every day without giving it a second thought. We the people are the walking waste streams of the world. We consume, we waste, we consume more and we waste more. When does it ever end? According to the United States Green Building Council’s recent statistics, employees on average generate 1.6 pounds of waste per day, and multiply that by the average work year of 260 days, we are now talking about 416 lbs of waste per year, per employee. In an office with 20 people, that translates to over 5 and one half tons of waste per year. And that’s just one small office! What about in general? According to the Solid Waste District in La Porte Indiana, people in the United States on average generate 4.4 lbs of waste per day and in total, we produced some 229 million tons of waste in 2001 which continues to increase each year in direct proportion with population increases. So what can we do? The natural world has provided us the perfect model for living a sustainable life and running a sustainable business… there is no waste. None! In nature, even what we humans consider to be waste has a purpose. One great way to start down the road toward sustainability, either personal or in business, is to do a waste stream audit. If you are wondering where to find opportunities to save, look no further than your garbage can. You’ll be amazed at the opportunities that can be identified by finding out what your sources of waste are. So slide into your favorite pair of reusable gloves and dive in! Once you’ve identified and quantified your sources of waste then you’ve got to think outside the can! Brainstorm about ways to divert the disposed products by asking questions like: Is there something else this can be used for; by me, or by someone else? Can this be recycled? Do I need to have this in my waste stream at all, or can I avoid purchasing this material altogether? If I choose to purchase a certain type of product, is there another that is biodegradable or comes with less packaging, or even better, biodegradable packaging? If I buy in bulk will that cut down on my waste to the landfill? You’d be amazed what you can learn about yourself, your family, and your company by knowing what you waste. Take the time to understand your own trends of consumption and disposal and make adjustments accordingly, you may just save a few dollars in the process of saving the planet. I encourage you to take your time doing the waste audit and sort through the messy bits too, as another one of my Grandmother’s old adages comes to mind…”Haste makes waste”! Gone are the days when Corporate Social Responsibility (CSR) initiatives began and ended with the aim of giving back to the community. CSR programs of large companies have now grown to include environmental concerns, largely as a result of growing consumer awareness and to some extent, governmental regulation. Of course, the fact that green CSR initiatives usually save the company a lot of money, while generating immense public goodwill is not overlooked by companies. Consequently, more and more industries are making environmental activism a part of their CSR programs. Most companies, large or small, choose to focus green initiatives in CSR on four major areas – reviewing environmental impact, reduction of environmental impact, promote energy efficiency and conservation of water. The process invariably starts with an assessment of the environmental impact of the company’s overall operations including raw material sourcing, manufacturing, distribution and administration. Once the impact has been assessed either in terms of carbon footprint or greenhouse gas emissions, the next step is to formulate methods to reduce this by a measurable quantity within a certain period. Promoting energy efficiency has the two-fold advantage of conserving non-renewable sources of energy and cutting operating costs. Many companies undertake retrofitting efforts or installing sources of renewable energy as a part of this conservation effort. Water conservation by promoting efficient use of water and recycling waste in an effort to prevent contamination of groundwater is another major component of green CSR initiatives. In addition to this, companies may also go in for implementing new environmentally friendly policies on a company-wide basis and this may include all the major factors mentioned in addition to ethical labor policies and environmental disclosure. Companies have embraced green CSR by promoting green restaurants (McDonald’s), hiring executives to formulate green CSR policies (Microsoft) and integration of green CSR into business strategy (IBM). Many businesses now recognize that it is important to get into green CSR at an early stage because in addition to stabilizing the environment, it makes sound business sense. Boeing, for example, was one of the first companies to invest in fuel efficient jet engines at times when oil was cheap, and is now poised to supply fuel-efficient engines to the aeronautical industry.